The winners of the annual South African leg of the Elle Decoration International Design Awards (EDIDA) were announced last week, and we're thrilled to share them here on the blog. 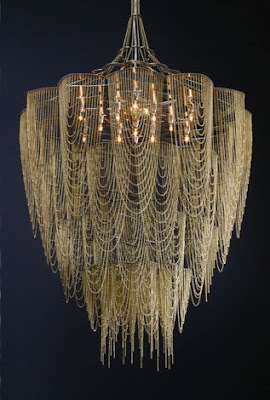 The overall EDIDA honours have gone to Johannesburg-based Willowlamp, for their robust yet delicately formed chandeliers made out of fine metal chains. Industrial designer and jeweler Sian Eliot’s and architect Adam Hoets’s latest range is inspired by flower forms like proteas and fuschias. 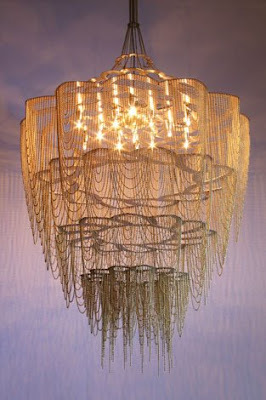 The striking chandeliers have features such as petals made out of voluptuous ball chain lobes, while the flower stamens and filaments are hanging lights made of frosted pyrex glass visors over halogen lamps. 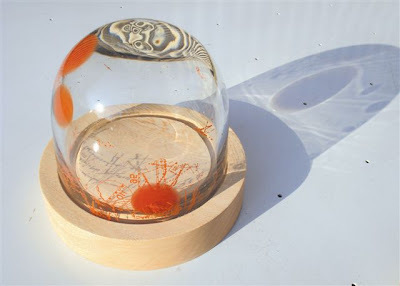 Gauteng glass artist Martli Jansen van Rensburg, won the tableware and accessories category for her small glass domes that slot onto jacaranda wood bases to show off collectables like shells and jewellery. Cape Town-based interior designer Laurie Owen, who uses local materials such as fallen trees and alien vegetation species to make her Romantic Organic range, was named winner of the furniture section. Bev Missing won this category for her Rain bathroom and body care accessories range. The natural products are made in Swellendam, and sold in upmarket retail outlets. Baby Podo, a range of contemporary cots and compactums made in Cape Town, won the bedding section for owners Jenna and Anton Robbertse. 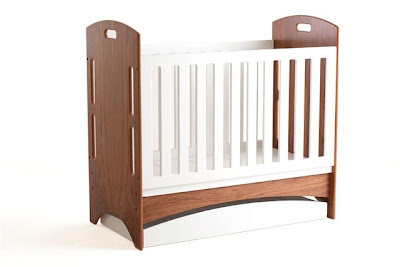 The range’s flexible cot can be transformed into another piece of useful furniture such as a bed, and most of the pieces can be used independently as stand-alone book cases, cupboards or toy drawers on wheels. The fabric section was won by African Sketchbook’s creative director Dianne Christian and marketing expert Anne Thisleton, who have trained unskilled township residents in hand painting, block printing, stenciling and screening. 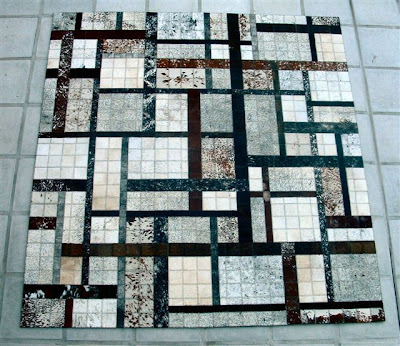 The flooring section was won by Johno du Plessis, who took up handcrafting cowhide carpets in South Africa after spending three decades abroad. His latest focus is using blocks of colour and juxtaposing black and white and other combinations for 1940, 50s and 60s-inspired rugs. 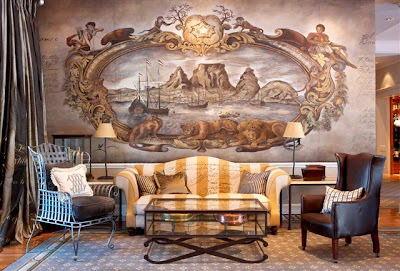 The wall coverings section was taken by practising Cape Town architect Lorenzo Nassimbeni, who works with his building drawings to develop wallpaper for an array of clients from corporates to restaurateurs and boutique owners. 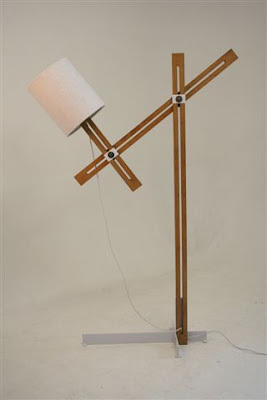 A Victorian cartoon featuring a classic anglepoise light was the inspiration for industrial designer Liam Mooney’s winning arc lamp in the lighting section. 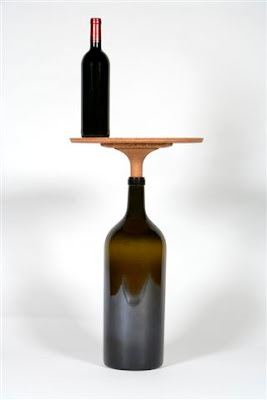 The Emerging Designer of the Year is 25-year-old Lyall Sprong, who produces objects ranging from lighting and shelves to benches and candleholders. 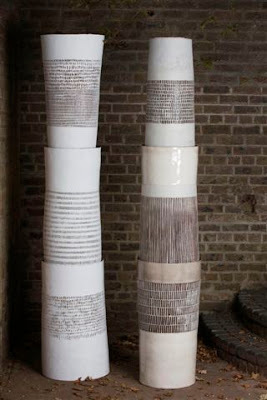 The craft section was won by Cape Town creative Louise Gelderblom, who hand-builds sculptural vessels up to 2.5 metres high. Her designs reach “people with big spaces”. 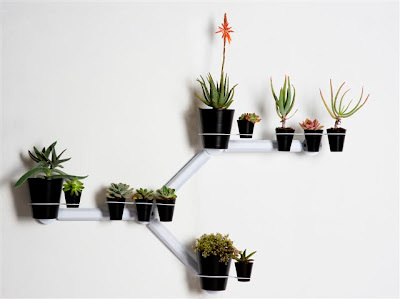 The outdoor section was won by Johannesburg’s Joe Paine, who’s designed a flat-pack customisable vertical planter that you attach to your wall rather like a DIY creeper. 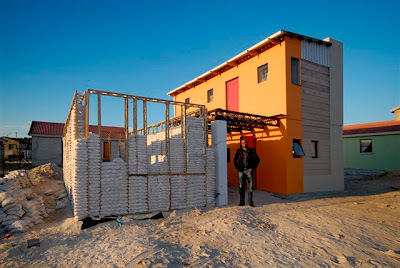 The architecture section went to MMA Architects in Cape Town for a low-cost housing design that will soon bring innovation to the Freedom Park community of Cape Town. The architects borrowed thermal performance elements from indigenous mud and wattle building, while the timber frame and sandbag infill construction is efficient and easy to build. 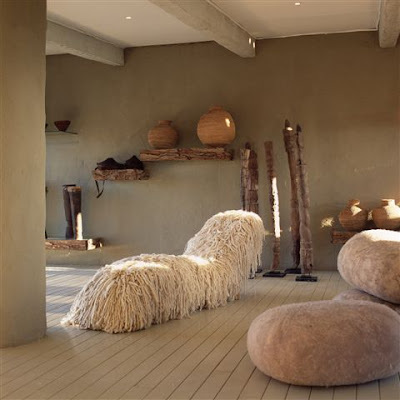 The South African designs will now be entered into the international judging round of the Elle Decoration International Design Awards to compete against entries from 23 other countries. The overall winners in this final round will be announced at the Milan Furniture Fair in April. Good luck to our winners! I could not stop looking at the willow lamp. It is slightly sinister, a bit dark. There is a sadness to it. Quite beautiful.